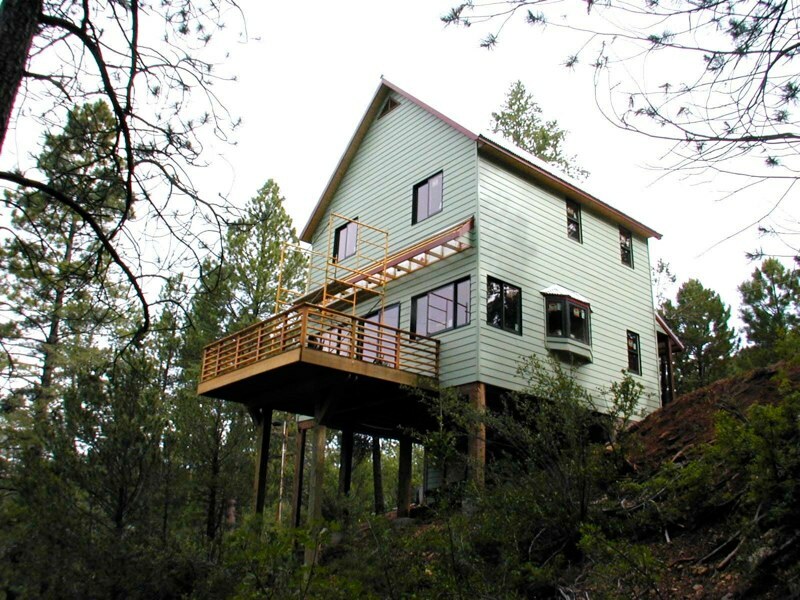 Richard Jost is an award-winning architect and building contractor who has been working in Southern New Mexico since 1985, building handcrafted residences, retreats, and special projects for discerning clients in the Sacramento Mountains. Using an integrated design-and-build approach with a small, dedicated crew, Richard is known for his highly personal style of working collaboratively with clients, allowing their visions to evolve into a design and into being. Richard Jost grew up in Bakersfield, California, where he built his first house at age 19. He was then recruited to the University of Houston on a basketball scholarship, and played for two years with the U of H Cougars under coach Guy Lewis. In 1966 he was drafted into the U.S. Army, and honorably discharged in 1967 as a Vietnam Veteran. He completed his Bachelor of Architecture in 1970 and began work as an independent architect and contractor in the State of Texas. 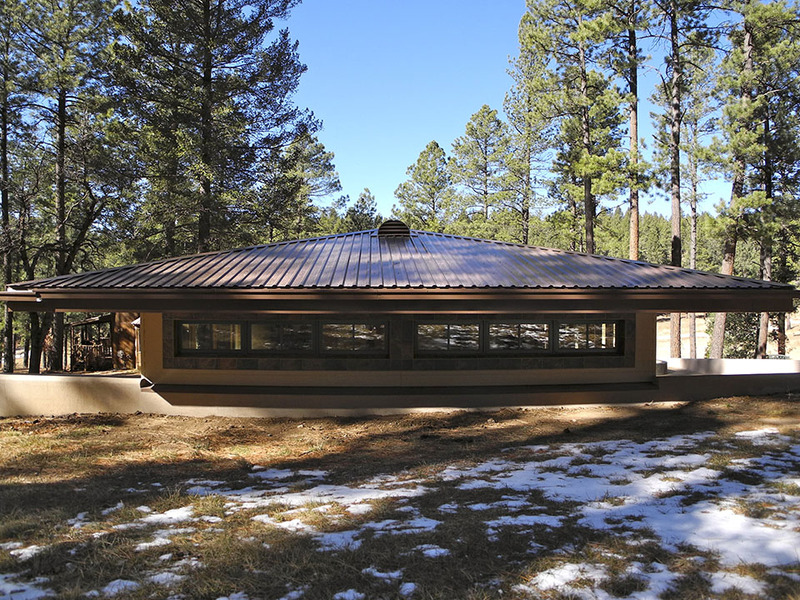 Unwilling to choose between swinging a hammer or pushing a pencil, he adopted an integrated design-and-build approach to architecture which has persisted to this day. Through the years, Richard Jost has completed projects in California, Vermont, Texas, and New Mexico, some of which have earned international recognition, including design work now in the permanent collection of the Museum of Modern Art (MoMA) in New York, NY. Richard Jost lives in Mountain Park with his wife, Karen and has two daughters, Manda and Sarah. 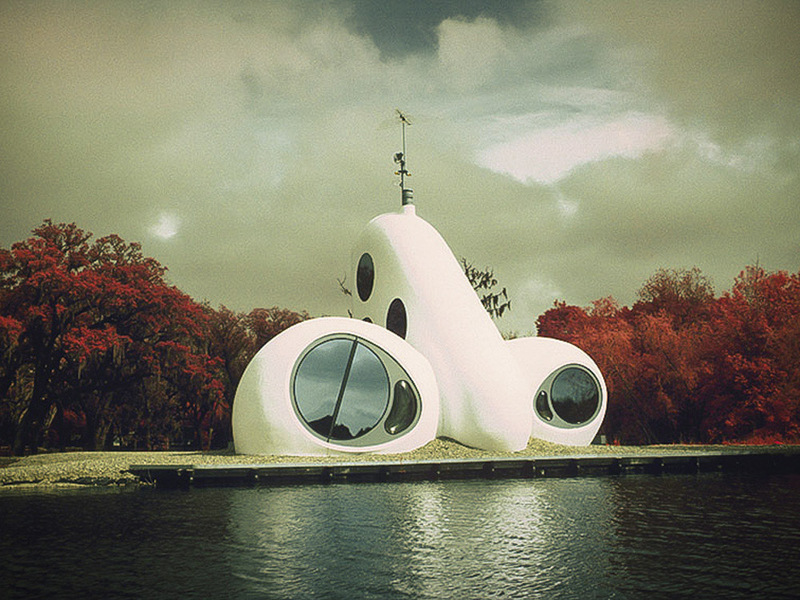 Radical ferrocement retreat designed and built by Richard Jost and Ant Farm, completed in 1972 near Angleton, Texas. The House of the Century received an award citation from Progressive Architecture in 1973, and the original drawings are now in the permanent collections of the Museum of Modern Art (MoMA) in New York, NY. 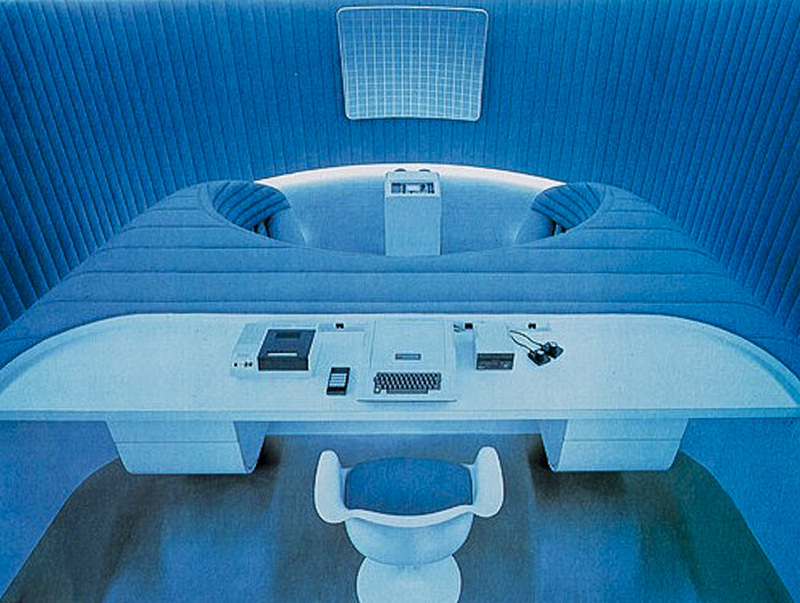 The Media Room, also known as the Allen Teleport, was designed and developed by Richard Jost and Doug Michaels as a home entertainment suite for a Houston investment banker. Media Room, also known as Teleportation Unit. This was Richard’s first commissioned home after the House of the Century. 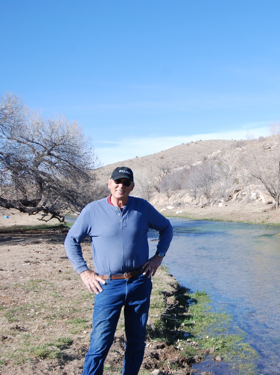 During this phase of his career, he spent most of his work days in a top-floor architect’s office in downtown Houston, but continued searching for ways to leave the city behind in favor of rural serenity and clean country air. 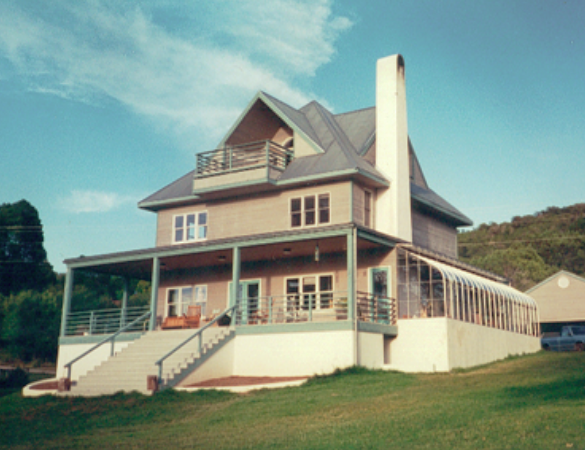 Four-level home built in one year by Richard Jost, Guy Smith, and assorted friends. Sun room on south side provides solar heat, supplemented by wood stove in basement. MCM office continues to this day on the top level. 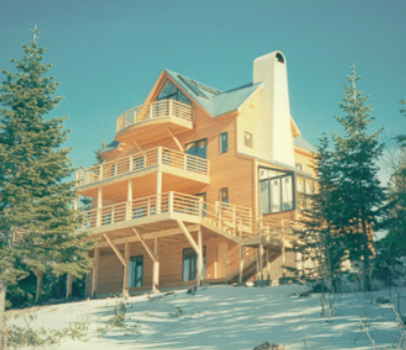 Designed and built for an award-winning screenwriter, who upon visiting the Jost residence, said “Build me one like this!” This design was altered to suit the client’s needs — with a library, sauna, and a deck on every floor. 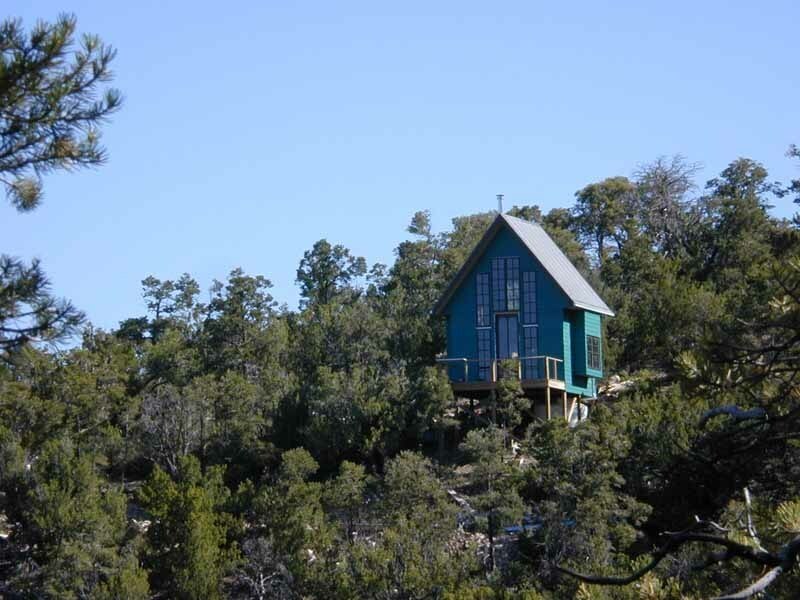 Built on 100 acres backed by National Forest in Russia Canyon, NM. 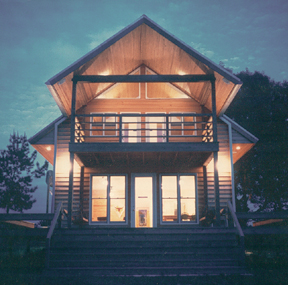 Designed as an energy-independent “off the grid” Y2K retreat for a San Francisco dot.com — now owned by a PIXAR animator. 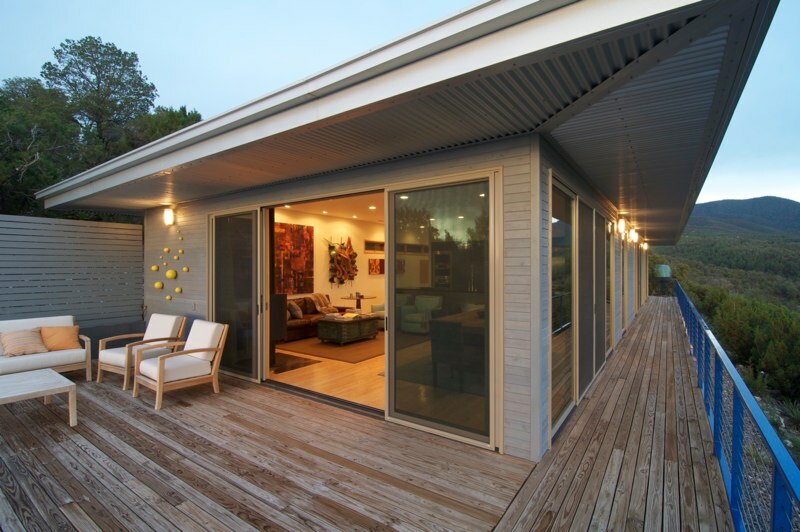 An aesthetically unique project prefabricated in Mountain Park, New Mexico and installed at Point Reyes, California. 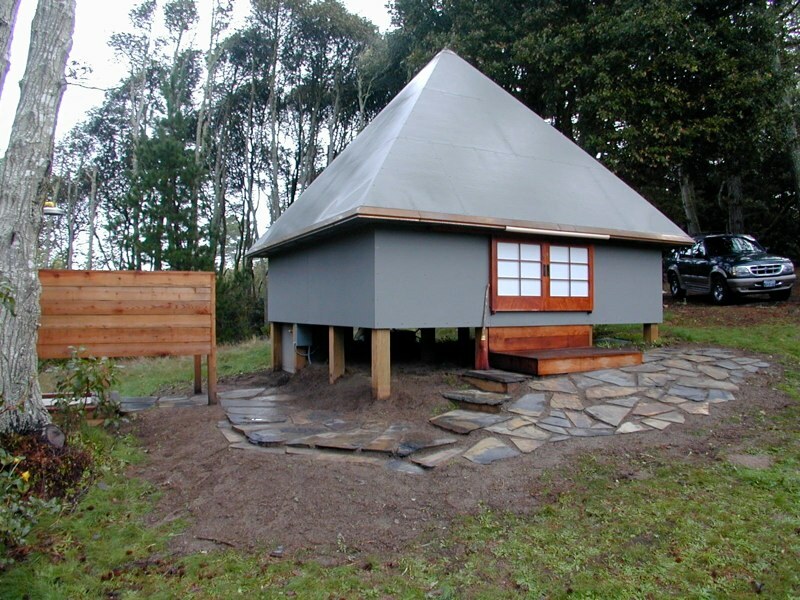 Meditation Pyramid, Completed on site. A two level retreat featuring an interior waterfall. 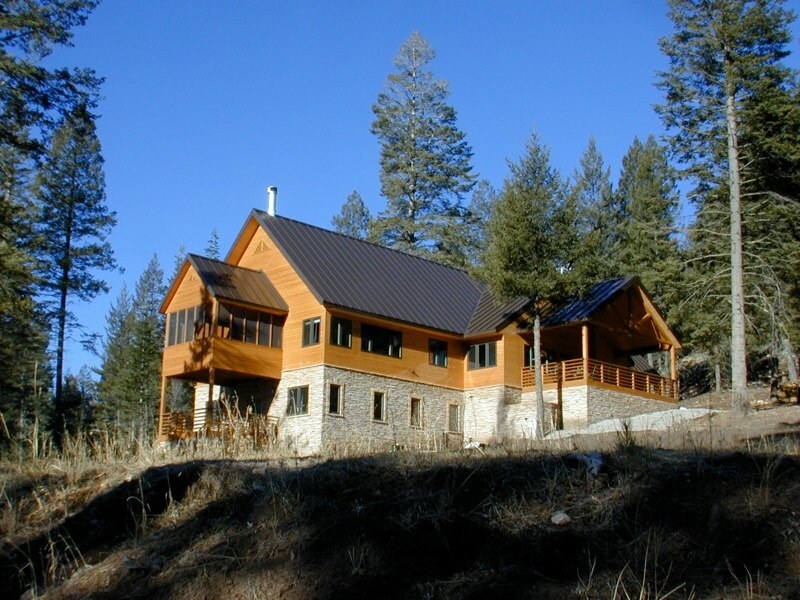 Features a massive stone fireplace with a window in the center. 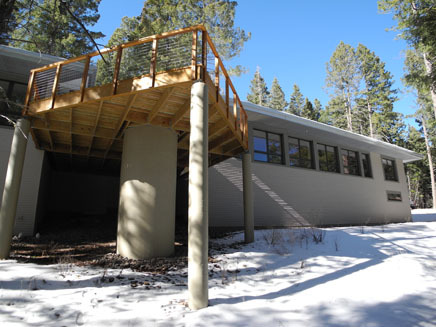 Two-bedroom, three-level retreat built as a spec project in the mountains of New Mexico. 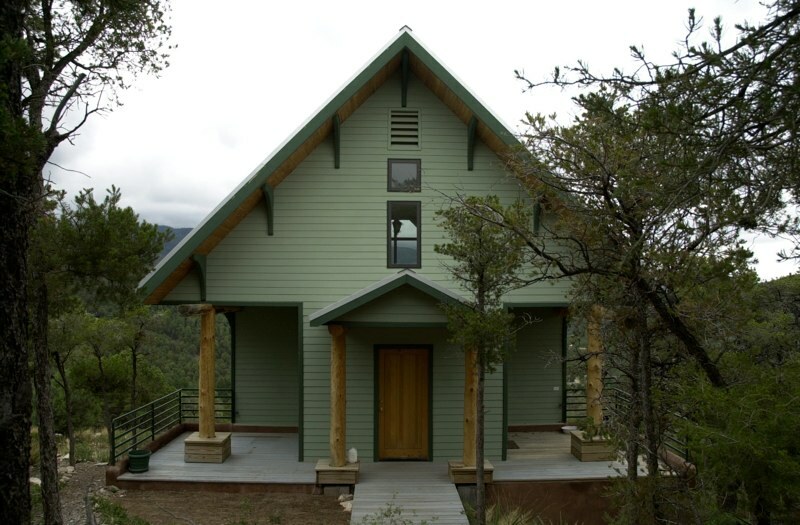 A two-level, off-the-grid retreat designed to house a small pipe organ in the loft. Built for (and with) the architect’s daughter. Silver Fox, Mountain Park, New Mexico. Hillside location view. A highly contemporary residential design, the first of its kind in Richard’s career. Alta Vista, High Rolls, New Mexico. View from the deck. Hilltop home with a 360 degree view. 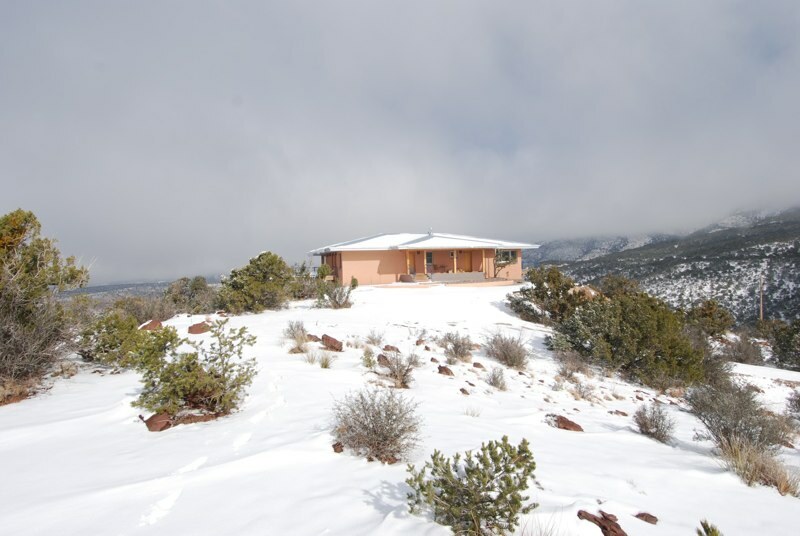 Luna de Plata, New Mexico, during Winter. 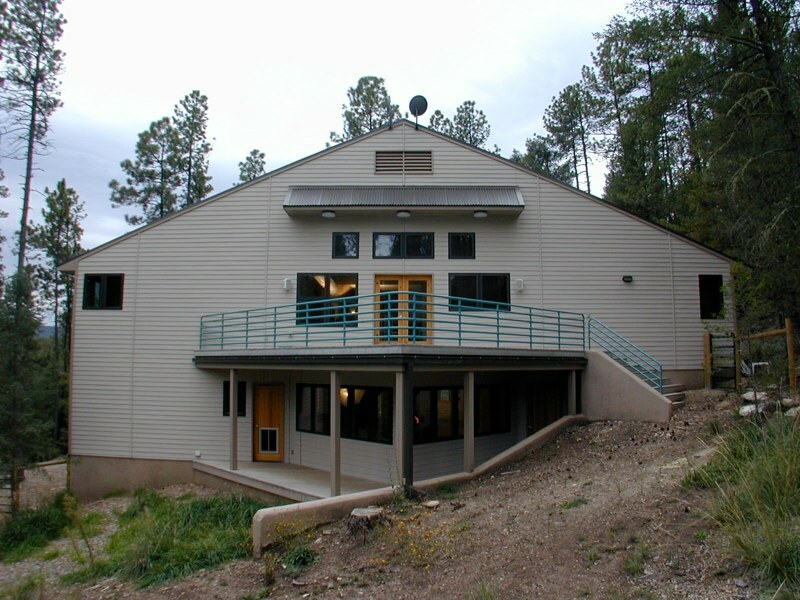 Unique home design with a deck separating the sleeping quarters from the rest of the house. 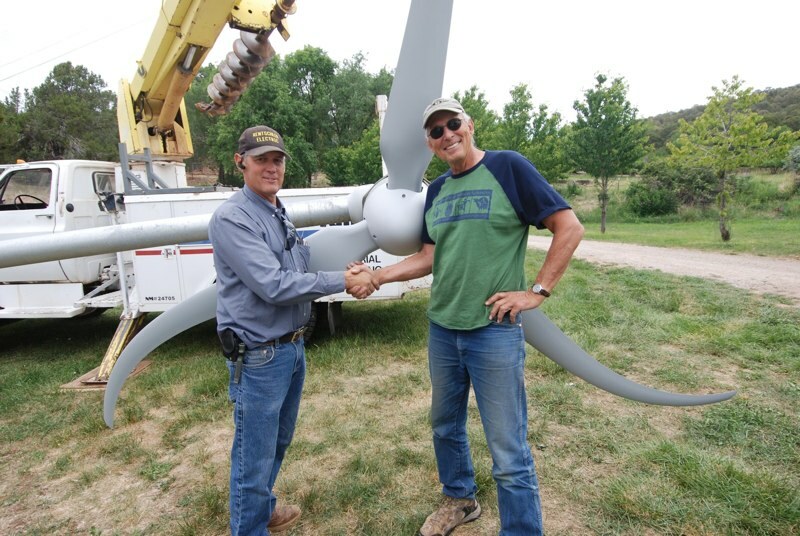 The Installation of a Skystream wind generator at Richard Jost’s Residence. A home studio for an award winning quilt artist. 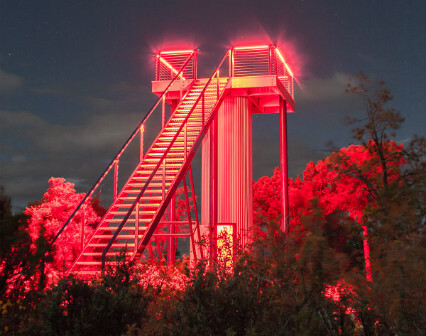 SkyPad is a hilltop naked-eye observatory, situated in southern New Mexico, surrounded by National Forest, at an elevation of over 7,500 feet. It is aligned to Polaris and has a staircase angle of 33 degrees, which makes the entire structure functional as a sundial.